When the material has been fabricated it is time to begin the installation process. For this to happen, the existing countertops along with the faucets, sinks, and cooktop need to be removed, leaving just a plain surface of cabinets with nothing on them for us to work on. The demolition of previous material, be it tile or any other material is up to you. However, if you would like us to take care of the demolition, we can do so for an additional charge to the project. If it is decided that you would like us to take care of the demolition, we will remove all waste such as old sinks and faucets after completing the demolition, all while being careful to avoid any damage to the walls or cabinets surround the space. An important thing to keep in mind is that if you have laminate counters with a backsplash, sometimes wall paint or plaster may come off. In most cases the new granite countertops or quartz countertops will cover most of this and the backsplash will hide the wall damage. If the granite backsplash or quartz backsplash is not enough to cover the marks it’s easy to patch up later and something your main contractor will take care of. Before the countertops are installed on top of the cabinets, it is very important that the cabinets are leveled and well-secured to the wall. 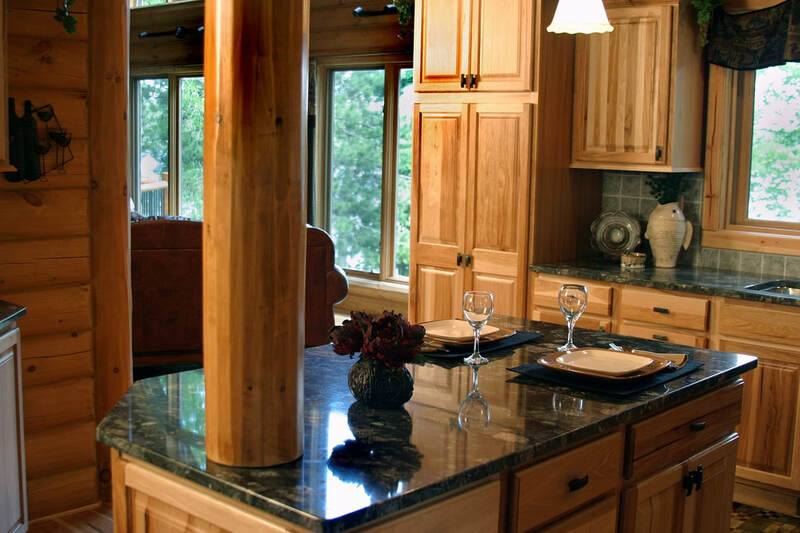 If there is an island, all of the cabinets need to be well-secured to the floor to protect the stone from a tipping hazard. If it so happens that the cabinets are slightly off-level, we will be able to level the stone out using shims specifically designed for this purpose. Once your cabinets are ready for the installation process to begin, we will need to move the granite or quartz pieces inside your home. This is a very important process, which is taken very seriously by us. Granite is heavy and susceptible to breaking quite easily while moving, so it requires us to eliminate as many of the sources of error associated with the process as possible. We ask that when the granite or quartz is moved, all family members are informed to keep a distance for their own safety. NW Eagle Stone is very experienced and will take extra care in moving the pieces in a safe manner to you home and your family. Before laying all of the granite or quartz on your countertops or island, the surrounding appliances and cabinets will be covered with a cloth to avoid any risk of damage during this process. It is then time to put the granite countertop or quartz countertop in place on the cabinets. Silicon along with a strong epoxy is used to fasten the countertops securely to your cabinets. It is important to level and set the seams before the silicon and epoxy harden. The seam is then also sealed using a mix of epoxy and a color that matches your countertops, making the seam blend in as much as possible. Once the epoxy inside the seam hardens, the left over epoxy will be shaved off the seam using razor blades by a professional, creating a smooth finish to the seam. Once complete, you won’t even notice it’s there unless you’re looking for it! After the granite counters or quartz counters have securely been fasted to the cabinets and the seams have been set, it comes time to install the sink. In most common situations the sink is undermount and will be secured from underneath. It will be attached using silicon, as we will use wooden blocks and an epoxy mix to create a place underneath around the sink to attach our rail or clip system, making sure that the sink is very well secured and won’t move upon contact. After the sink has been installed, NW Eagle Stone will lay a layer of calk around it to keep the water out. If it’s a stainless steel or aluminum base sink, we will use a clear calk in most cases. If it’s ceramic or another material, then white calk will look more appealing. Next we will calk the space between the cabinet and the installed granite or quartz countertops. If a backsplash is present, we will calk around it as well. If there’s no backsplash, we will usually calk the space between the countertop and the wall. The final step after the calk has been applied is to apply sealer (if granite, quartz doesn’t require sealer) and do a final inspection check with the owner. NW Eagle Stone​ will apply the sealer and show you how we do it, so that if the material ever needs to be resealed down the road you could do it yourself - it’s a very simple process. Once everything has been sealed and cleaned up we will check with you to make certain that you’re pleased with the work and answer any questions you may have about future proper care of your new counters. Finally we will thank you for your business and be on our way.